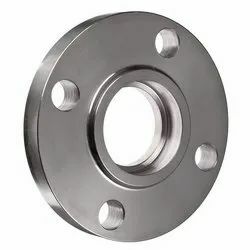 We are one of the most quality conscious producers of the wide range of Carbon Steel SA105 Flanges which is meant to cater to various industrial platforms in various domains. The applications of this product can be traced to numerous industrial domains which is highly convenient for our clients. The raw materials used to manufacture and fabricate these highly in- demand products are known to be acquired from experienced industrial distributors dealing in these products for a fairly long period of time. We study and analyze behavioral patterns and the quality levels of the vendors providing raw materials which helps to choose the best resources to be used in the manufacturing process. The technological superiority of our manufacturing product enables us to deliver our clients with prompt and flawless service. Apart from the latest technology, we also ensure high levels of tensile and ductile strength which is highly beneficial. Our experts monitor and make sure that these products are tested for its hardness and dimensional accuracy. This product does not cater to rust and plays an important role in resisting all kinds of industrial obstacles. The prices that we offer this product is the least one can expect and the quality aspect of it is simply exquisite which speak volumes of the total dimensional accuracy of the product. We are the leading supplier of Carbon Steel Screwed Flanges. 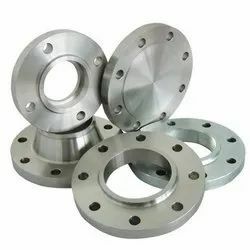 One of the most beneficial features of these stainless steel flanges is that these are highly suitable for high temperature & pressure applications. Our screwed flange has been liked by Indian clients as well as abroad owing to the superior and the optimum performance delivered. 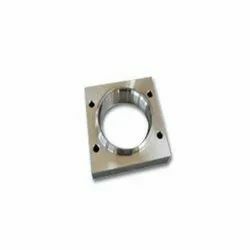 We are the leading supplier of Carbon Steel Socket Weld Flanges. 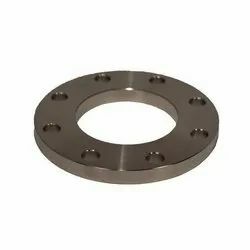 We offer our clients a wide range of Carbon Steel Ring Joint Flanges which are made from unmatched quality steel raw material. 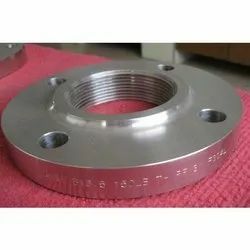 This ring joint flange is a method of ensuring leak proof flange connection at high pressures. A metal ring is compressed into a hexagonal groove on the face of the flange to make the seal. This jointing method can be employed on Weld Neck, Slip- on and Blind flange. With modern methods used in the manufacturing of these ring joint flange, we ensure the safe and reliable product providing good result even after rough use in difficult conditions. 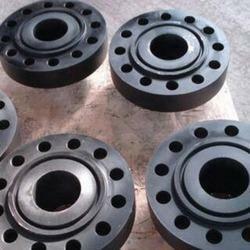 We are the leading supplier of Carbon Steel Lapped Joint Flange. These lapped joint flanges are available for clients at a very attractive price range to suit the needs and demands of the customer. And we do follow the norms that include ANSI, DIN, B.S etc which are well known standards in this industry and also a benchmark for the quality to be ensured by genuine manufacturers like us. 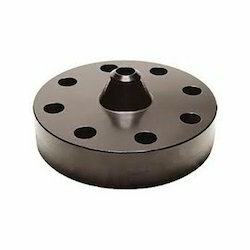 We are the leading supplier of Carbon Steel Long Weld Neck Flanges. These standards followed by us has given us a advanced step forward in getting the new and repeated orders from the market as the trust and faith had been established. Clients have enjoyed fulfillment of their exact needs and requirements by getting the customized products at the decent prices. We are the leading manufacturer and supplier of the Carbon Steel Blind Flanges ASTM A105. These blind flanges are made from high quality carbon steel and thus find application in steel plants, sugar mills & distilleries, pumps and petrochemicals, cement, construction and various other industries. Offered in various technical and standards specifications, these flanges feature durability, corrosion to resistance, less maintenance and sturdy construction. 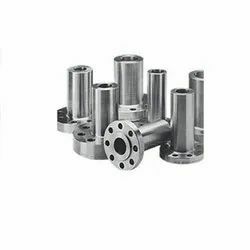 These flanges are made keeping in mind the overall functioning and structure of the body type. They have a hardy make that makes it a reliable piece and is well cherished by the engineers. They have come to the mark of international standard and are something to be reckoned for. These flanges are economical in nature and can be brought in bulk without any difficulty. We are the leading supplier of Carbon Steel Threaded flange. The flanges are suitable to be used in applications where welding is hazardous. They can also be used in highly explosive areas. 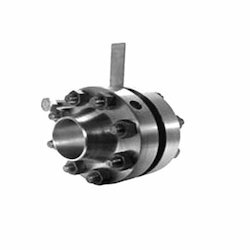 These are widely used in boiler and pressure vessel, petroleum, chemical and other industries. We are the leading supplier of ASTM Carbon Steel Weld Neck Flanges. This product stands apart as it has a long pointed focal point hub that helps in distinguishing the product from others. They are diligently packaged and are also exported to different places on demand. They are of optimum quality and are used by many people for various backgrounds dealing with this business. 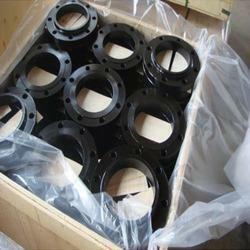 These flanges are also sold in bulk as they are popular in this arena. 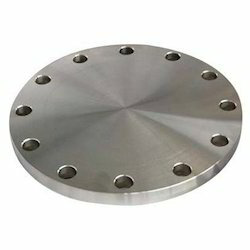 We are the leading supplier of Carbon Steel Plate Flanges. 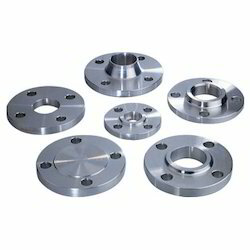 We are the leading supplier of Carbon Steel Reducing Flanges. 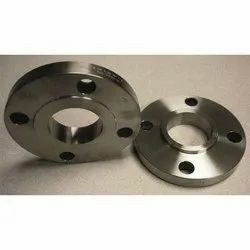 Carbon Steel Reducing Flanges are fixed by welding, gluing or clamping flanges of equal dimensions provided with different connecting pieces. Our Reducing Flanges are designed in compliance with international quality standards. Available in all types and pressures. Enriched with vast industrial experience, we offer varied range of ASTM A105 Carbon Steel Orifice Flanges that re durable in nature and have high tensile strength. Our entire product range is resistant to adverse weather-conditions and is functionally advanced in nature. We manufacture them using quality assured raw components procured from certified vendor base. Moreover, we offer them at most affordable rates. Fostered with a team of experienced professionals, we have been able to manufacture and supply an exclusive Carbon Steel Square Flange. Our offered flange is manufactured using the ultra modern technology as well as top grade raw material by our deft professionals. Our quality auditors carefully examine this flange on different quality parameters to dispatch a hassle free product at clients’ end. 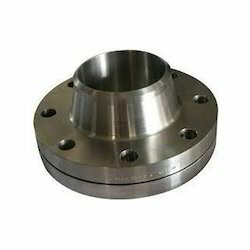 Further, the provided flange is widely applauded among our clients owing to its accurate dimension.